Fictional characters, by their very nature, are parasites. They cannot live without us – the attention we pay to them as readers, viewers and players quickens and sustains them. Our cognition is the coal that fuels their furnaces. In this way, all narrative is interactive. The very best fictions create a liminal space in which the parasitic becomes symbiotic. Fictional characters and situations become more real while our own physical environment recedes. You know the feeling if you’ve ever been so caught up in a book that you forgot to eat, or have had a long movie speed by in what feels like minutes. We inhabit characters, moving them along their predetermined destinies and, in turn, their adventures inform our perspective in ways which would otherwise be unimaginable. 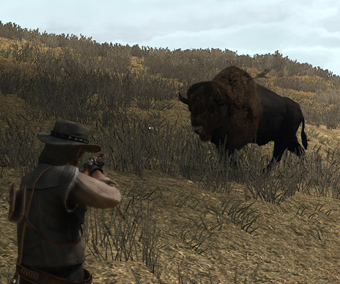 Due to their depth of interaction, videogames have an easier time creating that threshold. Even the rough approximation of action and feedback players get from pushing buttons and pulling triggers significantly breaks down the barrier between the real and the fictional. This is why I can say with some seriousness (along with thousands of other people) that 2009 was the year I spent as an opportunistic mercenary on the African savannah and that 2010 was the summer I drifted on the high plains with nothing but my gun, my horse and my wits. My time with John Marston (or as, I suppose) in Red Dead Redemption is important to me, in the same way that the loss of Tali and other comrades in Mass Effect 2 has left me with a lingering sadness. I have real memories of the Old West, even if I know about as much about riding a horse as I do about calculus. The same is true of my skill at hotwiring cars, calculating the jump to light speed or murdering creepy little girls in underwater cities. At its most basic, magick (I prefer to use Aleister Crowley’s Old English spelling in order to differentiate these occult matters from the trickery of the stage and the fireballs of Dungeons & Dragons) is the art of producing effects upon the world that occur independently of their natural causes. The sorcerer, by force of will, can conjure rain without clouds, inspire love where there is no emotion and inflict suffering without implement. There are two distinct methods to accomplish this: by trafficking with spirits or by manipulating universal sympathy. At the moment, we are concerned with the latter. Sympathetic magick was first formally theorized by the social anthropologist Sir James George Frazer in his monumental work The Golden Bough. It functions under the simple principle that like follows like. A voodoo doll resembles the man and, therefore, can cause him pain. A walnut looks like the human brain, so it must strengthen the mind. 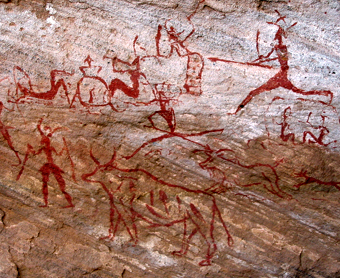 Painting the killing of a bison on a cave wall ensures a successful hunt. This notion of universal sympathy pervades our thinking, without us even realizing it. From the hermetic mantra of “as above, so below,” to the Neo-Platonic idea of the macrocosm and the microcosm, to modern consumerism, imitation and correspondence are still powerfully compelling. One persistent example of correspondence is Adam Kadmon. A Kabbalistic concept, Adam Kadmon was originally an attempt by the philosopher Philo of Alexandria to reconcile two contradictory Biblical accounts of God’s creation of Adam – one that was made in His own image on the fifth day and another formed out of the earth, sometime after resting on the seventh day. The second Adam is our famous progenitor, the husband of Eve and former resident of Eden. The first Adam, however, is neither man nor woman, but something more general, something heavenly. Philo envisioned Adam Kadmon as the Logos, the divine, animating principle of the universe, less a single man and more the entirety of humanity. Over the ensuing centuries of theological thought, Adam Kadmon became the primeval, universal soul, of which all human souls are a part. I have discussed how writing code for a videogame is not dissimilar to speaking the language God used to create the world, according to Kabbalistic traditions. Then, does playing games not make me Adam Kadmon to all the characters whose shoes I have walked in? Are those avatars, and all the other fictional characters I’ve ever inhabited, not part of a greater whole? They become like Tarot cards, representative of different aspects of my personality – the Fool, wandering the Capital Wasteland; the Emperor, sitting upon the throne of Albion; the Devil, planning a reign of terror in Vice City. All these characters I’ve lived are pieces of me. What, then, am I a piece of? Stu Horvath rambles somewhat coherently on other matters arcane on Twitter @StuHorvath. 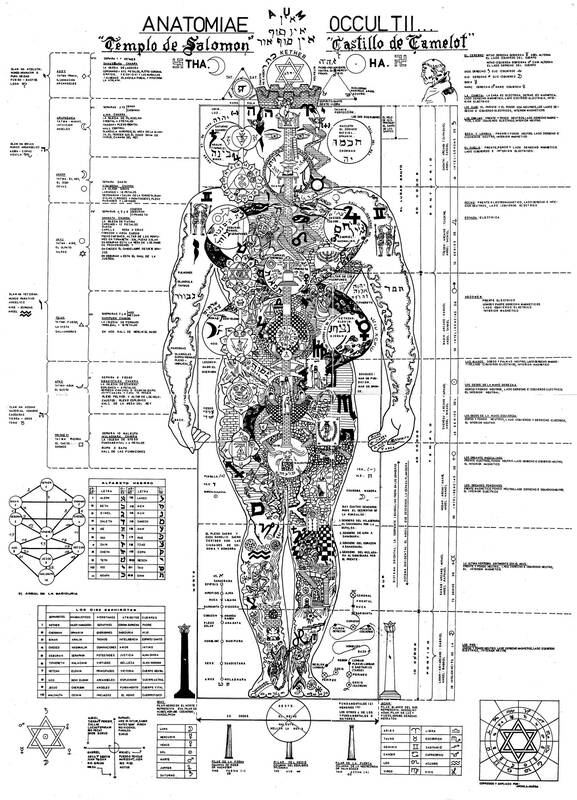 Added bonus: check out this incredibly intricate illustration of Adam Kadmon that attempts to reconcile all of his correspondences, from the sepheriot to the zodiac and more. Next week, The Burnt Offering looks at our romance with the ends of things.